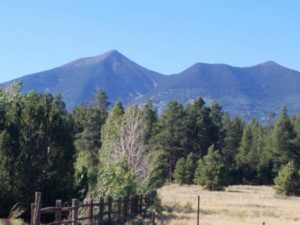 This post first appeared on Writing Wranglers and Warriors, Aug. 8, 2018. Many new writers don’t know where to start on their writing journey. They have a story to tell, and perhaps they have some of it written, but more often than not, the question I hear most is, “Where do I start?” The answer depends on where you are in your writing and what you want to accomplish, and this is where a writing coach can help. Do you have something already written? How complete is it? Who is your audience? What is your purpose? Do you have an outline? Do you need an outline? 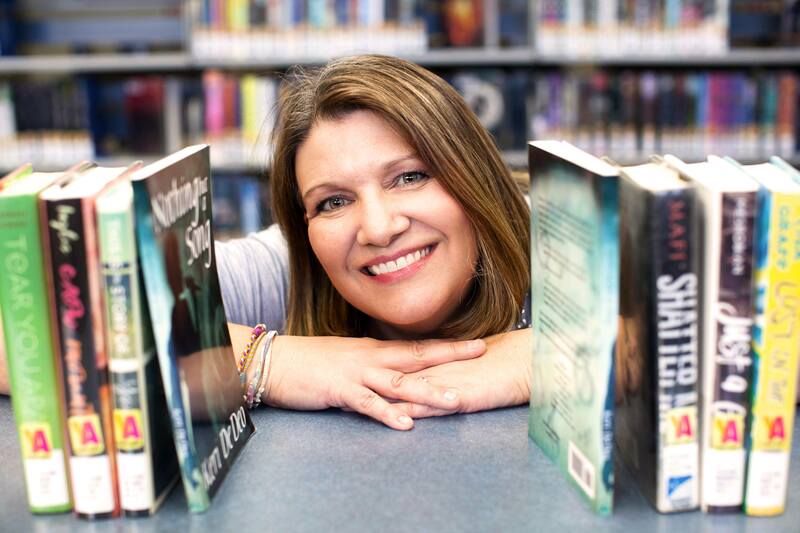 Should you self-publish? Where should you market your writing? These are all good questions to answer, but they don’t necessarily have to be answered right away. But where do you start? Well, you start by writing. Create a schedule, and just write. From there, you work out the kinks. For some writers, this answer is too frustrating. They want all of the answers up front. And that is possible to do, too. If you have a story idea and know exactly where you want to publish it and who you want to reach, then it might work for you to do some research into these questions before you start writing. It might also help you to have an outline. Many authors work well this way. However, many writers do not work well that way. Many writers just want to write and worry about the audience, purpose, and marketing later. That works, too. I am that kind of writer. Worrying about the structure, the audience, and the publication information often hinders my writing. I have an idea, and I just want to write it. Once the writing is complete, then I can tell who my audience is and where & how I want to publish and market my story. Hiring a writing coach is like hiring a music teacher. If you’re not sure what kind of writer you are, then try things both ways…see which one helps motivate your writing. If you find yourself stuck, then I recommend hiring a coach. It’s much like a musician would hire a music teacher…they help keep you on track and help improve your technique. I recently hired a marketing coach. I knew what I needed to do to market my business and my book, but I struggled to find focus and knowing where to start. All of that angst about where/when/how to market interrupted my writing and my work. I found myself just spinning my wheels and wasting time. With a coach, I found focus, and I learned what action to take and how to take that action. I think that hiring a writing coach could also help. A writing coach gives you focus and some accountability. A writing coach will give you tasks to complete. They’ll guide you out of your comfort zone and push you where you need to be pushed. A coach will also help you find your strengths and help you use them to meet your goals. That’s what my marketing coach does. He gives me homework with clear directions. If I don’t do my homework, then the next session doesn’t go as smoothly. So, I do my homework. I also learned to be more organized because I needed a method of keeping notes and writing tasks so that I would stay focused and complete my homework. It amazes me how finding a coach has put so many things into perspective and how it has affected several areas of my life—not just marketing or writing. I certainly feel much calmer and I know that someone is there when I have questions or even just a freak-out moment. So, think about where you are as a writer and if you need help or not. You could sign up for a writing class, join a writing group, and/or hire a writing coach. Whatever you decide, just keep writing. If you have questions about hiring a writing coach, contact me at keridedeo@gmail.com. On Saturday, July 21st, I headed out to the Payson Book Festival in Payson, Arizona. It’s approximately four hours from Kingman. We had to be there by 9 AM, but luckily, I drove from Flagstaff, so it made a quick drive to Payson (about two hours). Before the Festival, several people gave me advice about how to attract people to my table. 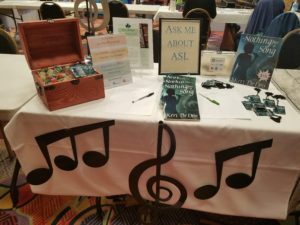 I put lots of musical notes out along with pictures of my book (and the books!). I also gave away FREE guitar picks! (Want one? E-mail me: keridedeo@gmail.com!). In addition to wonderful fans who bought my book, I also met Mary Deal who writes a mix of books in several genres. She graciously posted information about my book here. I’m honored to be one of her creative friends! Before I went to Payson, I visited some family in Flagstaff and said goodbye to my Aunt Penny, who died on July 1st. 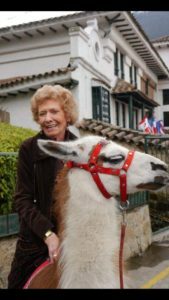 She was 89 and lived a full life full of music and love. I posted some pictures below that you might enjoy. 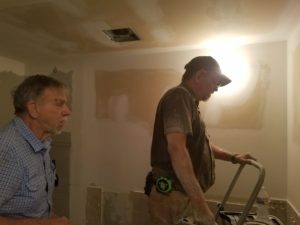 Dad & Tim putting in a new bathroom in Penny’s basement. Reviews for my new book, Nothing But a Song, are in! And it looks like it’s a hit. 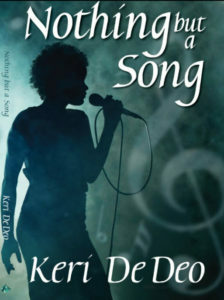 Keri De Deo’s new book, Nothing but a Song, (Crystal Publishing, Fort Collins, Co.2018. 132 pp.) demonstrates the resilience of the human spirit and shows readers the healing power of music. The book begins with a car crash that involves Rebecca and her boyfriend. The boyfriend dies, and Rebecca is left with severe hearing loss caused by a traumatic brain injury. Rebecca has always been a singer, but now her hearing loss makes her feel that she can no longer do what she loves. With the help of a number of people, Rebecca learns to sing again, using visual aids and learning to feel the vibrations rather than the actual tones themselves. This story provides a wonderful guide for recovering from tragedy and learning to trust both friends and one’s own instincts. De Deo’s prose is clean and straightforward. Her dialogue is believable. She clearly has an ear for the way kids talk. A musician herself, De Deo helps readers feel the devastating loss that Rebecca feels. She shows how isolating deafness can be in a hearing, and sound-filled world. As the book progresses, De Deo shows Rebecca becoming more aware of her other senses. 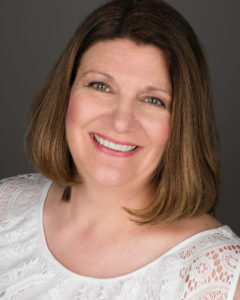 She notices the visual world around her and pays attention to people’s facial expressions in ways that she would not have had she been relying on her hearing. This story is uplifting and engaging. It’s completely appropriate for middle school readers and up. Readers who are musicians will be particularly interested in the ways the Rebecca relearns to reconnect with her own musical talent. For more reviews, see Lulu.com and Goodreads! 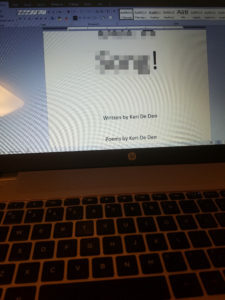 Available on Amazon.com–e-book coming soon! !